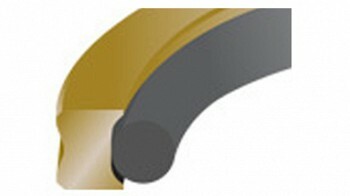 Rotary seal applications demand sealing on rotating surfaces. This necessitates an elastomeric seal with frictional contact that’s high enough for optimal sealing without creating excessive system heat or torque on the motor. Consider this balance in multiple operating conditions. Typically, rotary seals are employed in such applications as compressors, gearboxes, mixers and dryers, pumps, presses, rotary manifolds and the like.